Here's another BOGO coupon that we spotted! 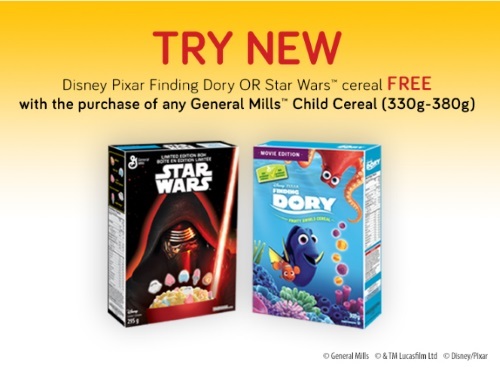 Get a Free Disney Pixar Finding Dory or Star Wars cereal with the purchase of any General Mills Child Cereal 330-380g. This is a print coupon from the Save.ca Walmart coupon portal. Get yours while quantities last.